All it took was a single tweet of ‘Hi’ back in January to send the internet into frenzy – could Basement really be back? The answer was a resounding yes, and now six months later the band are releasing their first material since 2012’s exceptional Colourmeinkindness, and that material comes in the form of EP Further Sky, which features two new songs and a cover of Suede’s Animal Nitrate. Was it worth the wait? The answer to that would still be a yes, resounding or not. After playing their ‘last’ show in November of 2012 the Ipswich five-piece have been on hiatus, and until the start of this year it was looking unsure as to when they’d return, with guitarist Alex Henery still living in the States. Listening to Further Sky twenty-one months later it’s as if they’ve never been away, although I suppose if you listen to the bands discography as often as I do it’s a fairly understandable notion. The EP is a teaser of things to come, not enough new material to necessarily satisfy fans but enough to reassure them that things are most certainly on the right track. Opener Summer’s Colour is instantly familiar, opening with traditional Basement riffs and then launching into a full band dynamic, dropping off to thick bass once Andrew Fisher’s mellow vocals come in, suitably reflective and searching – shooting stars and solitude. It’s everything you’d want from a comeback track, if you could call it that, peaking towards the end as vocals soar and some technical guitars weave, euphoric and emotional in a way that only really Basement can be, and there’s no suggestion they’re struggling to rediscover their balance here. Summer’s Colour picks up where they left off, and like I said earlier, it’s like they never even left in the first place, ticking all the right boxes here. Second original track Jet is more experimental, radio-friendly rock; there’s a bounce to it which means it lacks some bite but makes up for it elsewhere. It’s upbeat in a way that Basement have rarely been, and as somewhat haunting whispers of ‘it was only for an hour’ give way to a ribbons of warm instrumentation before another peaking climax the song shows a more mature, adventurous side to the band which bodes well for the future. It isn’t the most memorable song the band have ever released, and it’s lack of a huge, anthemic chorus shows, but it’s good nonetheless, wetting the appetite for more. Animal Nitrate is perhaps the biggest surprise on the EP; I wasn’t sure what to expect from it being a fan of the original version, but I came out of it impressed. It’s a very worthy cover of Suede’s classic, and Basement put their own spin on it, making it infectious and charged. Fisher’s vocals work really well, and as a whole the song is very well done, slightly slower than the original but maintaining its energy and flare, even throwing in an instrumental final thirty seconds to expand on Suede’s version. With only two new songs Further Sky is short, I would’ve preferred a few more tracks, but what Jet and Summer’s Colour do (as does Animal Nitrate to a lesser extent) is leave a listener most certainly wanting more. At this stage, with the promise of a full-length somewhere in the future, that’s more than enough, and I can’t wait to see what else Basement have up their sleeves, even if it does involve more waiting. 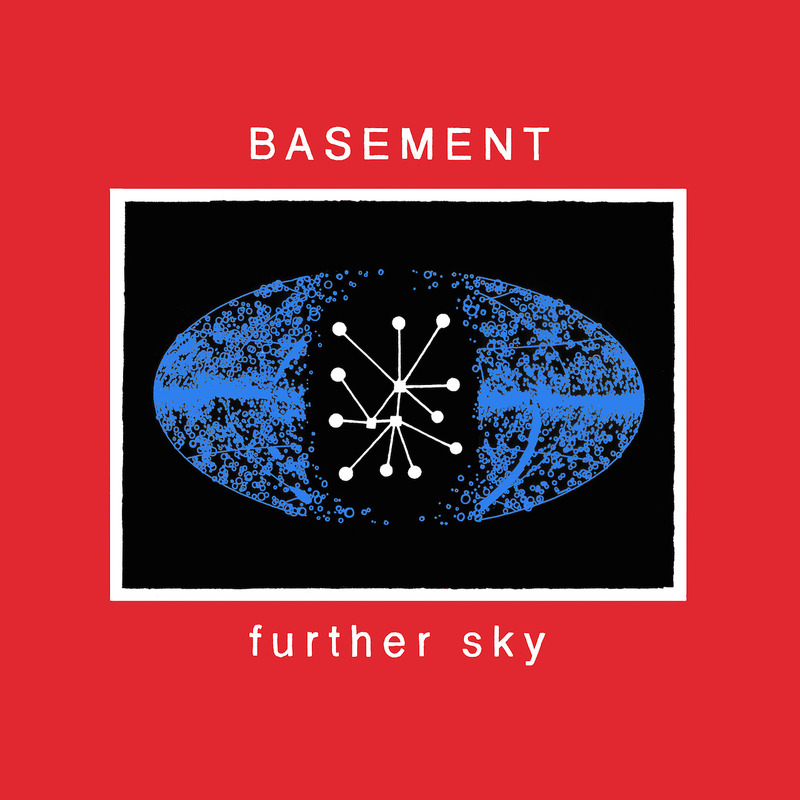 With Further Sky I can confidently say that it’s very good to have Basement back, but it’s perhaps too early to judge whether the bands second coming can rival their brilliant first.